We are all challenge lovers. 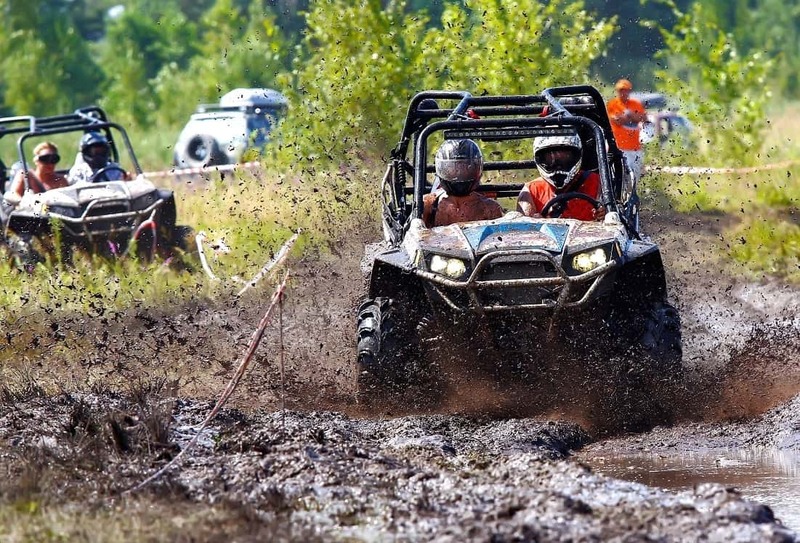 For ATV drivers mud is not just dirt, it is a new challenge to overcome. Where the other driver turns their vehicles from the mud we drove through it. To us driving in mud is a way for us to show our skill as a driver. When a good driver drives through mud, many new drivers and interested people think that they can do that also. But stop right there! This takes years of practice and dedication. No one can become a master driver over a night. So, what is the first thing the bigger should do? They should first prepare their vehicle for this kind muddy roads or tournaments. Having a good ATV is like half job done. The other half is you. Your practice will make things right for you. 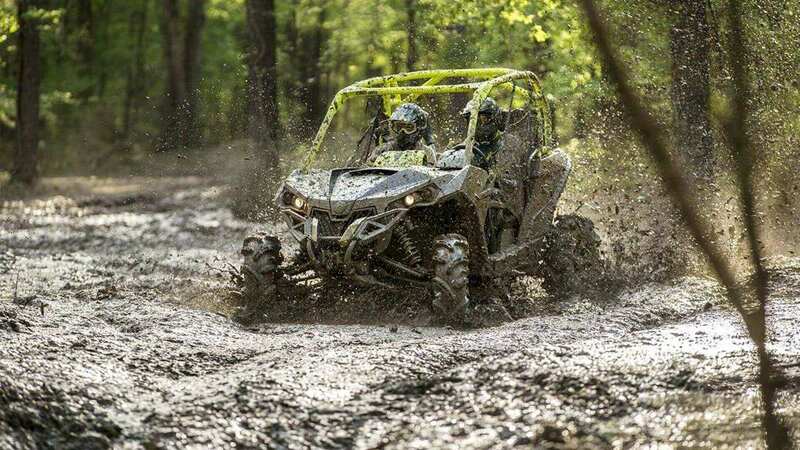 So, here is how to prepare your ATV for mud driving. 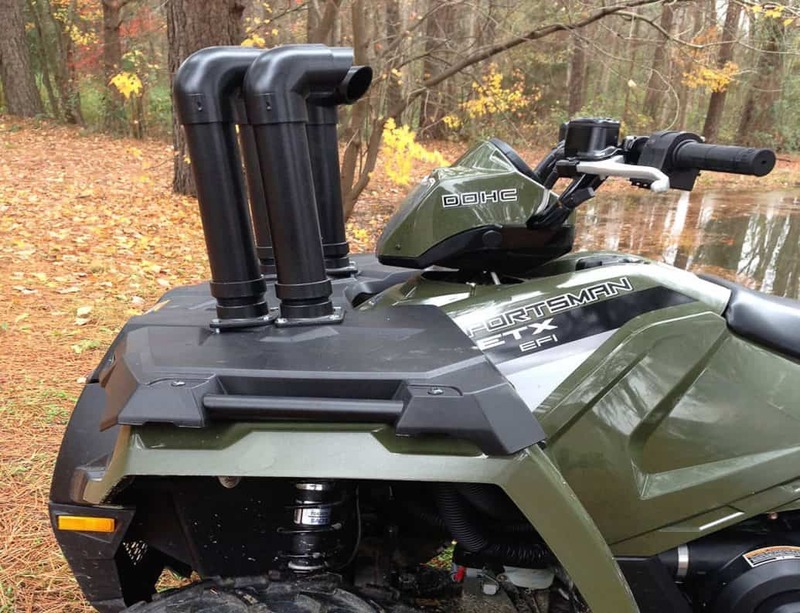 ATV can service a little bit in water but if you want to push your ATV ability to the next level, you can add the snorkel kit. You can add this all by yourself and this is not expensive. You can buy PVC pipe and make your own snorkel kit. Though it looks easy to assemble, believe me, it is not that easy its look like. This kit needs to have right sized and shaped parts. This kit will help you drive your car much deep in the muddy road. If you plan to do this by yourself, follow every instruction on the manual. Seal all the air box drains and lid pipes. You need to change your ATV carbonator setting as you the changing air follow the line. When you add heavy mud tire in your ATV, it adds more weight and that can make it hard for you to control. It can burn the ATV stock clutch. These tires can make belt slippage and you can drop controlling level over your vehicles. The engine can become overheated also. 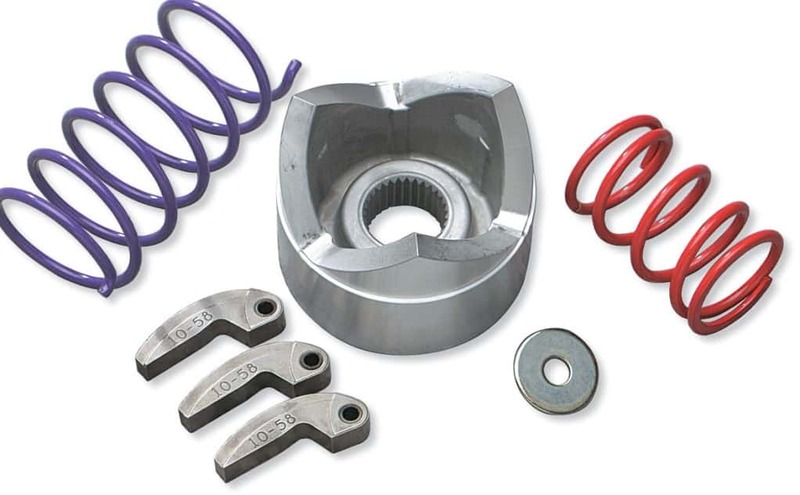 You can add new spring; reshape cam and most impertinently a clutch kit. You will find all these in the auto parts market. There are some companies that make the product, especially for mud road runners. You can buy these things for them. If you are good with engine mechanics, you can try it on home. But I suggest you take help of any professional on this matter. For mud riding, the winch is a must item to have in your ATV. Mud driving presents some quince challenge to the driver. Your ATV can get stuck in the mud. You need something to get you out of that position. 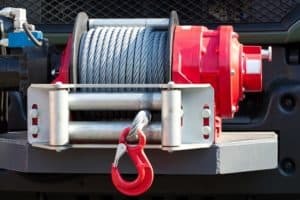 There are lots of companies that make quality winch. You can get any of them. Buy try to use the best ATV winch in the market. 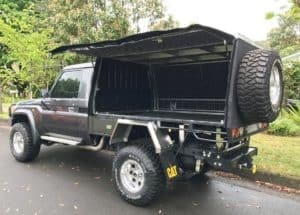 But an extra challenge is that where to install the winch. 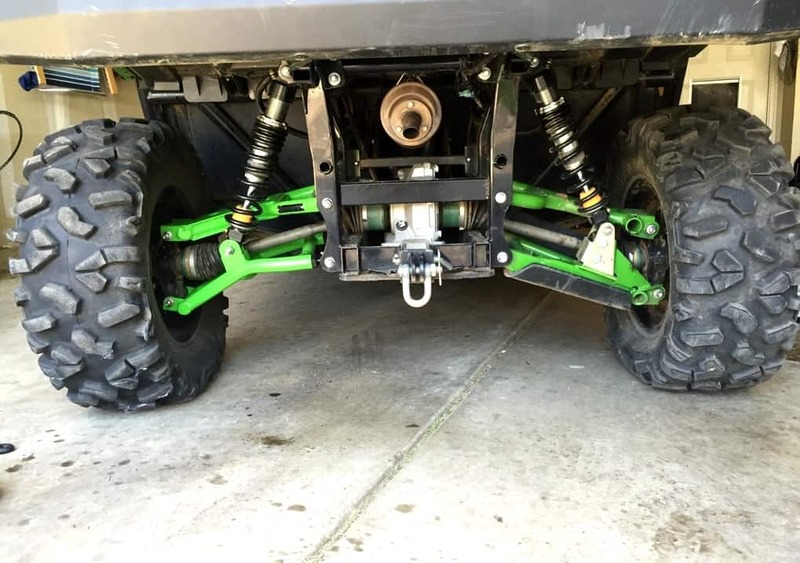 In my opinion, the best place to install winch is under the front frame of the ATV. This place makes the winch easy to use and control when you use it. You can install this by yourself or take help from a mechanic. You are not going on a normal road trip. You are going to need mud road tires for this type of journey. Your tire has to be 40 inches tall and 4 inch in depth. Right size tire is essential for the ATV. This tire must be lightweight as well. If the tire weight is heavy, the ATV with 750 CC engine will not perform well. The engine will become overheated quickly. Type of tire you can install in your ATV depends on your engine capacity and also on your ATV engine age. Though a standard ATV engine is 700 CC but there some ATVs that has 800+ CC engine. Most of the beginners should use 700 CC engine ATV. So, their vehicles should be fitted with less weighted mud tires. But for ultimate mud riders, 800 cc engine vehicles can do some magic. This kind of engine can take heavy tires and perform well at the same time. If you are confused about the tires, send the full details of your ATV to an expert. 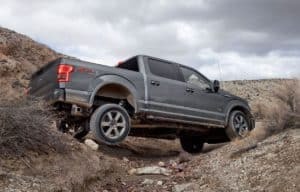 You need to lift your vehicles at least 2-3 inch more from its actual position. When you drive in the muddy road there are lots of nasty rocks, and stumps of trees. You need to avoid these things to get a proper driving speed, control and also for the safety of vehicles’ body. The higher life kit adds steel extension hardware that helps you to lift your ride higher. It also makes your ATV more stable on a muddy road. There are lots of other professional tools that are needed for pro mud racers but not for a beginner. These five tools are essential for any ATV rider. This does not matter if you are a pro or a beginner. 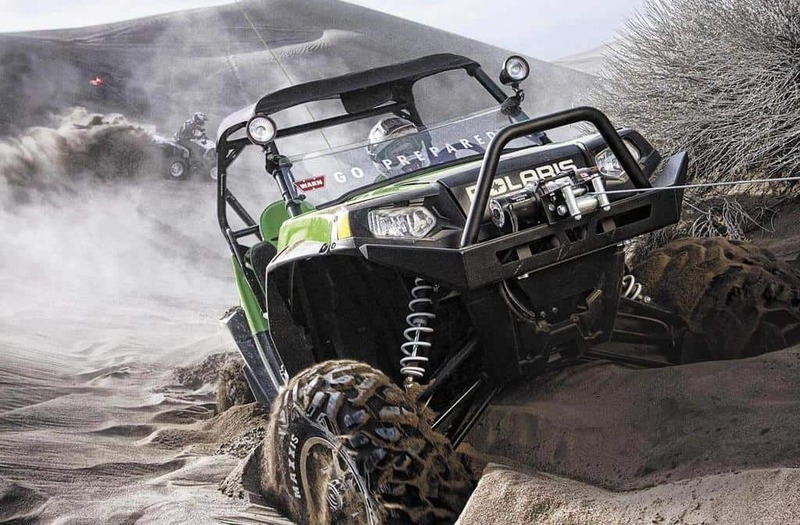 In short, these are the five must-have tools for every ATV drivers.